If you suffered from acne or one of the many victims of acne you were not alone and the battle with acne are still happening, actually its forever and it’s our choice if we choose to win or just give up the fight. I am not an expert or anything that specialized when it comes to acne but base on my experience I beat it, well not really having a very clear and smooth skin because from time to time these bastards keeps on occurring and if I don’t take measures, then the nightmare will begin again. 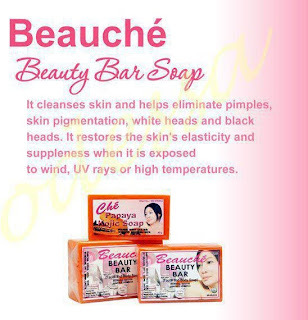 Beauche set is Php 750.00 or $18 including skin toner, exfoliating cream, clarifying solution, age eraser cream, beauty bar and rejuvenating cream and has a special instruction that includes in the set. 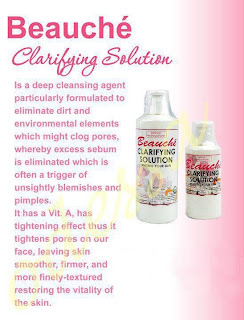 Note: This product may work for me but may won’t work for others and I read also some complaints that it doesn’t work for others and I suggest that you keep on searching the right product that will satisfy you and continue to use it; if it works for you. Clean face, neck and arms with skin toner using facial cotton. Wash face with Beauché bar soap. 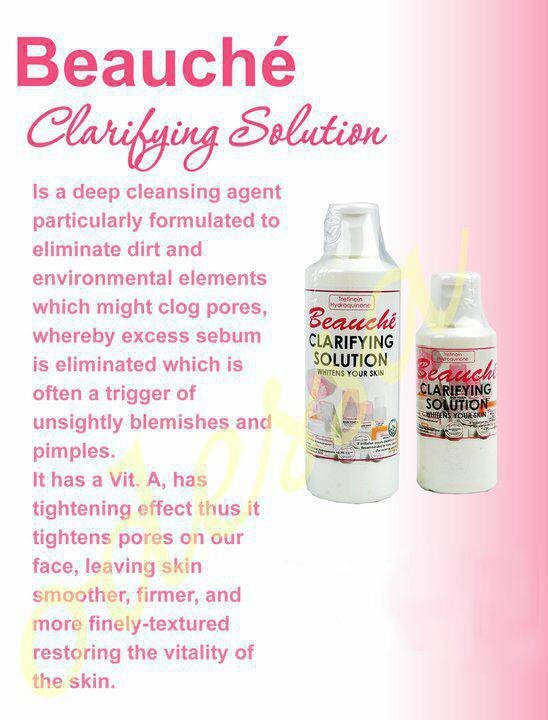 Apply clarifying Solution with the upward stroke using facial cotton. Put on generous amount of exfoliating cream. Do not rinse. After 15 minutes, spread over substantial amount of rejuvenating cream in circular motion. Do not rinse. Let it stay overnight. Rub face with ice to close the pores and lift dead skin, and eliminates the night creams. 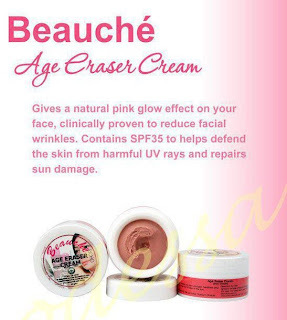 Spread on face ample amount of age eraser cream to moisturize the skin and to protect from harmful UV rays. I carefully follow these instructions especially the rubbing of ice and I see the result after 2 weeks of using it. 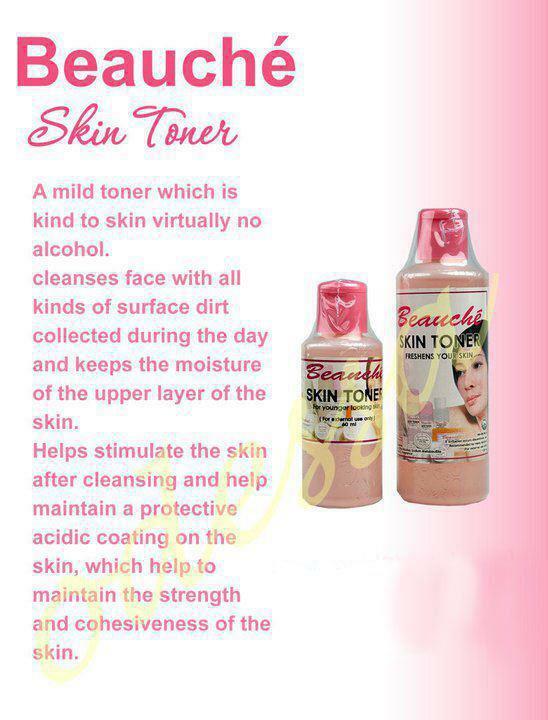 Base on my experience my complexion becomes lighter and has a minimal peeling of the skin although the scar was there but it is slowly fading. 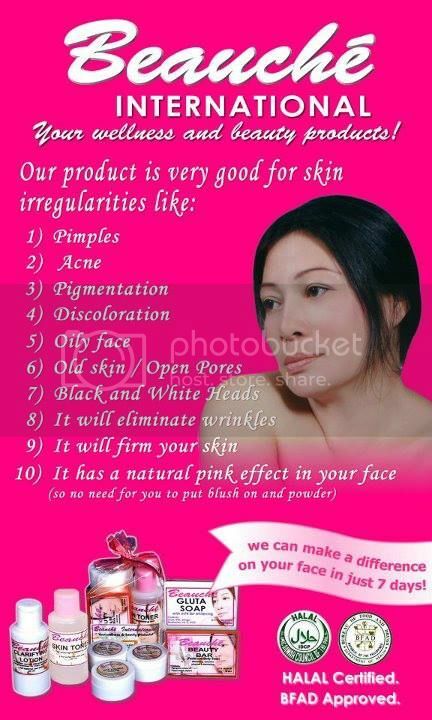 Right now I skipped using the rejuvenating cream and age eraser cream (see the product I use here) but I haven’t experience acne or pimples breakouts, plus I also visited salon for facial cleaning of white heads and black heads. I also notice that exfoliating cream is the responsible for drying up the pimples so I actually put some in my pimples and bumps area. And sometimes I also became hiatus with this regimen and some pimples will come out but getting back to beauche saves my face from the curse. 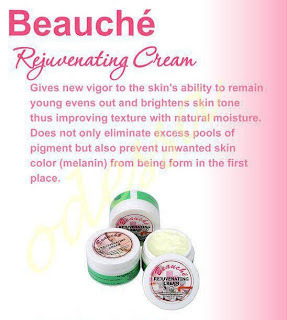 Note again: I am not paid to do this review nor I received a free gift from beauche, this review is totally from my own experience and my own money. 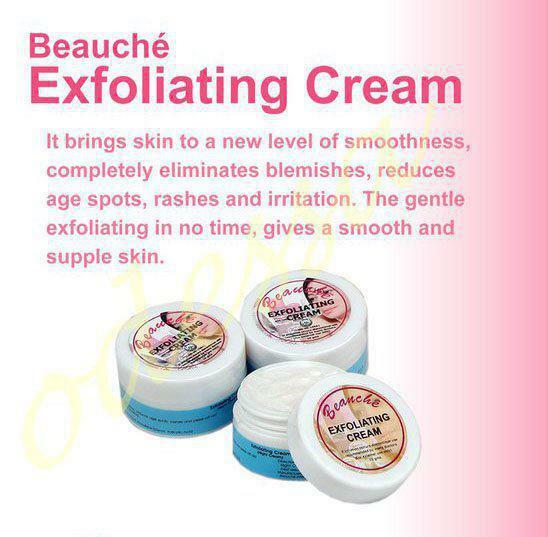 Follow me on Instagram at @airchris for more updates on my skin and make some shoutout at me if beauche helps you or not.